Absolutely fabulous - this combines loads of my favourite things for books into one week long story that has a huge effect on the lives of the characters. 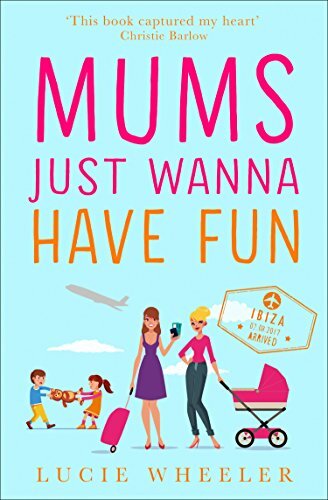 We have a holiday to Ibiza, two single mothers, three children, new people to meet, cocktails to be consumed and a whole lot of fun to be had. What struck me instantly about this book, baring in mind I hadn't paid that much attention to the blurb, I saw new book by an author I enjoyed the debut from and instantly knew I had to read it, was that Nancy's son Jack is autistic. There is always a great need to have slightly more diverse characters so it was great to see how a single mum and her autistic son were going to cope on a holiday to a big all inclusive hotel. We learn all about some of Jack's triggers but as the holiday progressed what I loved seeing was the huge strides in personal development not only Jack made, but Nancy did in getting to know how to try to improve life for Jack. They are on holiday with best friend Harriet and her two children, and lets just say not only is Harriet a slight workaholic, she is by all accounts a completely realistic mum and its great to also read about a mother who isn't too sure of herself or motherhood, and what felt like a really honest account of what life with two young children and a very small support network is like. I loved getting to know these two families, and their quirks, while also having a fabulous holiday in a gorgeous setting, and both ladies each meet a new potential friend on their holiday. I loved the introduction of Jayne and how she seemed to understand what Harriet was going through, and Cameron, single dad to Aiden is one of the sweetest guys I have read about for ages. There were just little gestures that mean the world to Nancy, and I looked forward to seeing how the friendships progressed. 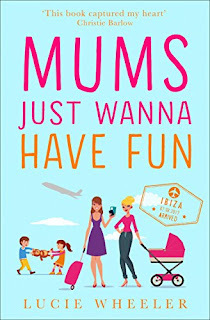 Mums Just Wanna Have Fun is a delight to read, completely entertaining, full of fun, and just a wonderful way to spend a few hours, curled up with my kindle on holiday with these fabulous, realistic, relatable to characters. This has proven that Lucie Wheeler's debut novel wasn't a fluke of greatness, and that I am already eager to find out what she is writing next, as I want to be first in line to read it!